Charlotte recently graduated from Mountview Academy of Theatre Arts and is an Associate of the Trinity College of London for Voice. Credits whilst training: Natasha in Three Sisters, Millamant in The Way of the World, Paulina in The Winter’s Tale and Bearnice Ceclia in Forfanteries (New Players Theatre). Other Theatre credits include: Chorus in La Bohème (winner of the Best New Opera Production Olivier Award 2011 and Best Off-West-End Production What’s On Stage Awards 2011, Soho Theatre), Clarice in The Servant of Two Masters (The Lord Stanley Theatre), Lyra Belacqua in His Dark Materials, Lady Felmet in Wyrd Sisters, Jean in Find Me, Sister Dawkins in Blessed be my Bedpan at the Edinburgh Fringe 2008 (all with The Minotaur Theatre Company). 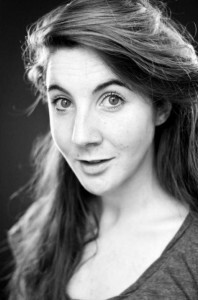 Charlotte has also been in many short films and a number of commercials and music videos since graduating.